The Soccer Luncheon is THIS FRIDAY, May 19. 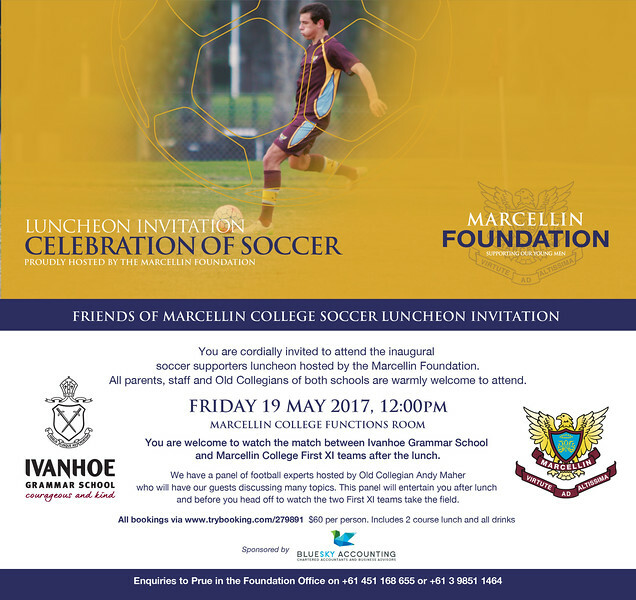 What a great chance for the Marcellin Football community to show their support for the many teams who represent the College. We have had a change to the panel guest line up with Mark Bresciano unfortunately now being unavailable due to a family commitment clash. Mark has sent his sincerest apologies and we hope to welcome him to the panel in 2018! Meanwhile we have two great young A-League players, both of whom are Old Collegians and gun players.  We thank them and welcome them back to Marcellin. Daniel Mullen (Newcastle Jets) and Lucas Spinella (Melbourne Victory) will speak with Andy Maher (Channel Ten, Channel Seven and 1116SEN Radio), another Old Collegian. So don't miss out on this inaugural celebration. Everyone is welcome so feel free to bring family, friends and work colleagues. The lunch will precede the First XI AGSV match between Marcellin College and Ivanhoe Grammar School. We thank BlueSky Accounting for sponsoring this event. So LAST CHANCE to ensure a seat.